Welcome to St. Petersburg Jet Charter, the most all-inclusive jet charter brokerage in the private aviation industry. Wyvern-certified, our boutique aviation team operates under the most stringent safety and service standards in the business; your safety is our number one priority. These standards stretch across every service we offer, from private jet rental to helicopter charter and luxury ground transportation. Air Charter Advisors is available 24 hours a day and 7 days a week to arrange any charters you might need in St Petersburg, whether they be private jet, helicopter, or yacht-related. We have access to thousands of aircraft across the globe, so we can easily find a private jet that suits your needs. Our St Petersburg Jet Charter brokers have years of experience in the private aviation industry, and their knowledge is at your disposal when working with our team. Our company works with a wide range of clientele, from celebrities and heads of state to business executives and executive assistants – we’ll meet just about any need that you might request for your private charter flight. Aside from the amenities offered, our hassle-free and transparent booking service is unmatched in convenience and efficiency. When flight day comes, you’ll be happy to find exactly what you’re expecting. Your private jet, gourmet catering, and anything else you requested will be ready on the tarmac when you get there. Simply get out of your car and walk up the steps. We offer no-hassle quotes, so call now to inquire about your luxury private flight to Saint Petersburg, Russia. Charter a business or executive jet for a private flight to St. Petersburg. Very few people would argue that St Petersburg is the economic hub of Russia; it isn’t, Moscow is. However, it’s a close second, and that’s a big deal when talking about the biggest country in the world. The biggest industries in St. Petersburg are construction, science, and retail. However, they’re not very far ahead of the rest of the city’s industries. That’s a very good thing, and it indicates a highly diversified city economy. SPB doesn’t put too many of its eggs in any one basket, and it’s seen a lot of success with this tactic in recent years. Group consensus in the world of investors is that, right now, St. Petersburg is a very safe bet. 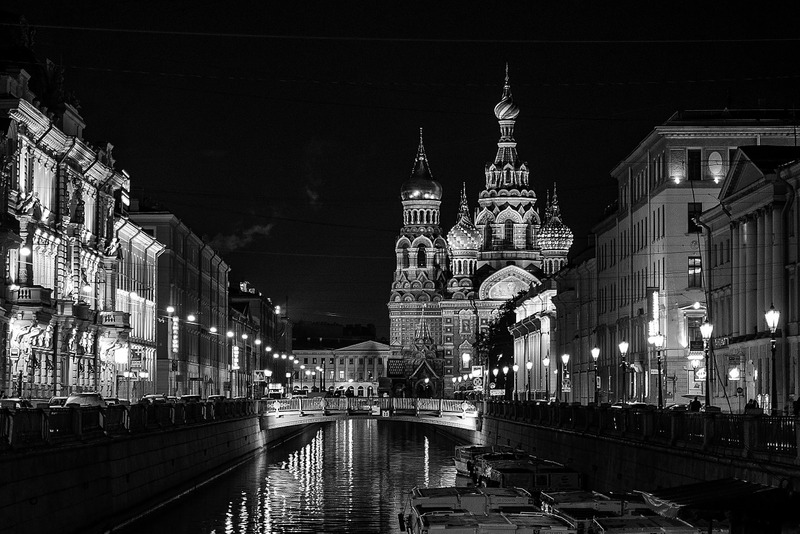 Our clients generally fly to Moscow if they’ve business in Russia; private flights to St. Petersburg are usually taking their passengers for a bit of rest and recovery. However, a business flight to St Petersburg is a common enough occurrence. Flying private is always recommended before important meetings and conferences, because a commercial flight can too easily cause mishaps. We know that it can be difficult to concentrate when surrounded by other, possibly noisy, people. Add in finicky Wi-Fi, little room to relax, and the drudgery of customs, and you’ve got a huge hurdle to jump before you can start your business. If you want to be on your best legs when you’re doing business in Russia, then a private flight is the best way to accomplish that. Hire a jet and fly private air charter to St. Petersburg, Russia. If you’ve heard of Peter the Great, you probably know that he’s the Russian tsar who catapulted Russia into the world’s political spotlight back in the 1700’s. He was educated in Europe as a child, and he returned to Russia ready to rule using the progressive ideas he’d learned there. Those progressive ideas are present in just about every aspect of St Petersburg, the city he designed himself. He set out to create a shining, splendorous Russian capital – one that rivaled even the most imposing European cities; most would agree that he succeeded. Goethe called Peter’s city the “Venice of the North”. It’s linked by over 200 bridges across the Neva Delta, and canals dip and weave between the 16th century buildings; it’s truly beautiful. It was a city meant to be in constant renaissance, where the arts could be celebrated and the people could prosper. Well, shoot for the moon and you’ll land among the stars. The city is still the undisputed cultural capital of Russia. The arts are thriving, the people are reveling, and Peter’s vision is alive and well. 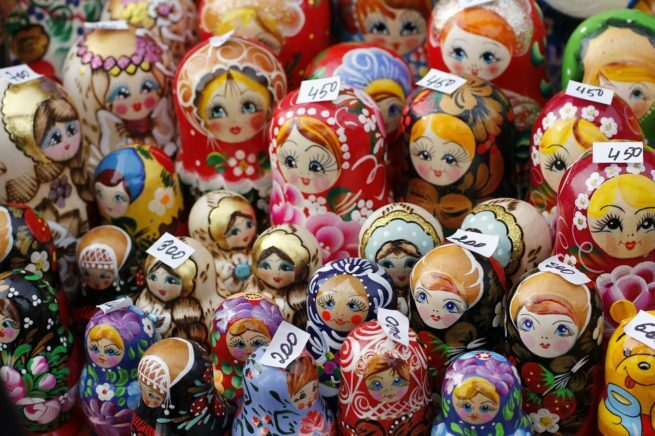 The number one attraction in St Petersburg will always be the same – the city itself. People there are always walking, just taking in the sights and enjoying their surroundings. There’s so much packed into every little nook and cranny. Historic sites, food stalls with hot snacks, little boutique shops: they pop out at you during your daily commute and you just think “when did that get there?”. That’s not to say there’s nothing to do in the Saint Petersburg. There’s a lot. It’s just the city’s atmosphere makes everything a bit better. It’s just the type of ambiance to makes your ears crave music and your eyes fiend for art – a claim made evident by the fact you can pretty much see a reenactment of Swan Lake at any given time; there’s always some major orchestra playing at Mariinsky Theatre, and 24-hour jazz clubs are almost as common as the Russian Blini stalls in the streets. There’s visual art everywhere in the city. Whether it be the buildings or art that fit into the more traditional sense of the word, you’re going to see it constantly. 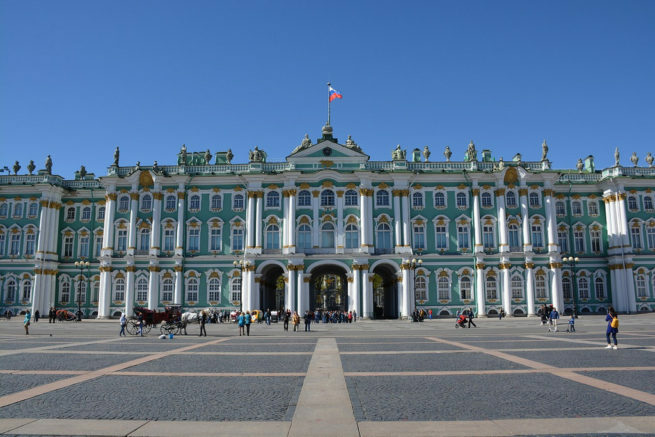 The State Hermitage Museum in Dvortsovaya Square houses more than three million artworks and artifacts just by itself. Three million – more than you’ll find in most cities. You’ll also be able to check out Russia’s first state museum, The Russian Museum, as well as the one-of-a-kind Freud’s Dream Museum. There’s also a wealth of commercial art galleries you can check out if you want to bring something home. The city is ground zero for Russian contemporary and fine art, and it’s currently experiencing a bit of a renaissance; it makes a lot of sense to visit now. We can help you get to St. Petersburg via luxury private jet charter. After your private jet charter flight arrives in Russia, you’ll find St. Petersburg to be one big post card picture. You can whip out your phone and snap a NatGeo-worthy photo at just about any street corner, and you’ll see plenty of people taking advantage of this fact. It’s not just the buildings though. There’s real art, and huge statues, and monuments and tons of other things to see in the area; it’s all just eye candy. From the Peter and Paul Fortress created in 1703 to the Winter Palace and the Summer Garden, some of Russia’s most treasured sites are right in the middle of St Petersburg. It’s almost impossible to not be in awe of it all. Saint Petersburg is home to a wealth of luxury accommodations for private jet travelers. Having been built in the 1700’s, St. Petersburg is full of luxury lodging options that combine a sense of history with modern amenities. Hotels in this city were definitely not built according to contemporary luxury standards. They were built to the luxury standards of the 18th century elite; they’re old yet well preserved, and lavish. They’re appointed with plush carpets and furniture, and thick gold-trimmed curtains with frilly tassels hanging off. The white-gloved and black-coated staff members enhance the experience in each one, and the service is usually top notch. Yet the amenities offered are right up to the standards of the poshest London and New York hotels; they just exist within more refined settings. The city does offer some contemporary luxury options in the form of upscale chains like the Four Seasons and The W Hotel. These modern luxury brands are perfect if you’re just stopping by St. Petersburg on a bit of business. If you’re visiting for the cultural experience, though, you’re definitely going to want to stay at one of the more boutique options. Regardless of where you end up staying you’re sure to have a great time. But it definitely helps to pick out your accommodation well beforehand. If you’re still trying to pick the best one, keep reading for a few ideas. 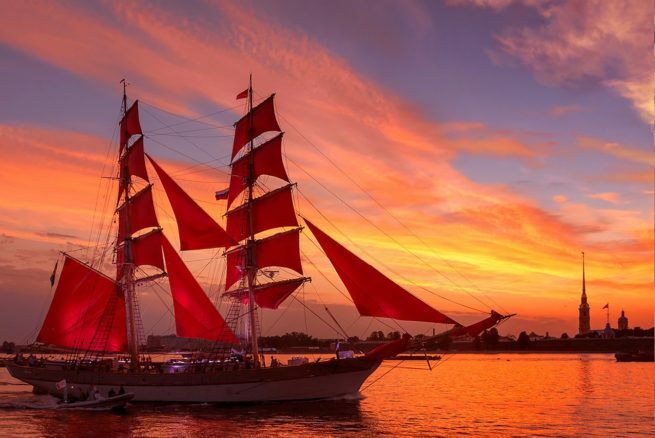 Saint Petersburg Jet Charter has compiled a list of all the best places to stay in the city. Based on jet charter client feedback, the following list is the best place to start your search. So, read on to check out our list the best places to stay after a luxury private flight to Russia’s cultural capital. Most people would point to Moscow if you asked them where the best nightlife in Russia is. They’d probably say Moscow is way nicer, or the clubs and bars there are posher or cooler. Most people would be wrong, though. People often equate sleek, contemporary surroundings, nicely dressed attendees, and steep drink prices with a good time. You can definitely find all of that in SPB, but Saint Petersburg is so much more; it’s sort of the antithesis of the common Moscow night out. The city has its upscale options, too, and you can’t forget the live music and theater venues. If you prefer a more moderate and even-keel atmosphere, head over to either Krestovsky Island or Kunushennaya Square. The clubs in these areas typically enforce dress codes and a bit of face control as the evening grows older. As far as live music goes, Saint Petersburg is probably beating Moscow at the moment. The Bolshoi always cemented Moscow as Russia’s top dance, theater, and opera destination. Now, the Mariinsky Theatre is enjoying greater popularity than its iconic rival. The venue is putting on more progressive and exploratory shows that people are really responding positively to. It works especially well in Saint Petersburg, long considered to be the most open-minded and liberal of the Russian mega cities. Air Charter Advisors utilizes the following airports to fly clients privately to/from St Petersburg, Russia and neighboring areas of Europe and Asia. Pulkovo Airport (IATA: LED, ICAO: ULLI) is the primary airport for private air charters and scheduled airline service in St. Peterburg. The airport opened in 1932 to link Moscow with St. Petersburg, which at the time was known as Leningrad. The airport played a crucial role in WWII, as one of the only connections to the city during the Siege of Leningrad. It was originally named Shosseynaya Airport after the nearest train station, until 1973 when it was renamed Pulkovo. (ULLI) Pulkovo International Airport was renovated during the 1950s to service larger aircraft and more passengers, and today the airport is the third busiest airfield in Russia, serving the entire population of approximately 6,150,000 people in the Leningrad Oblast. Pulkovo features two cement-concrete runways, both of which are long enough to handle any jet. Our Saint Petersburg Jet Charter clients jet can choose between six FBOs at the airport; Pulkovo 2 is the terminal frequently used for government officials and VIP travelers. Operators base several private aircraft at (LED) Pulkovo International, offering a variety of options and opportunities for our clients. Located just 28 kilometers south of Saint Petersburg, Puskin Airport (ICAO: ULLP) offers an additional arrival option for business jets and executive charters in the Leningrad Oblast. Operating with a 8,202-foot concrete runway, Pushkin’s primary focus is on light to mid-size private jets, helicopter charters and small airliners. (ULLP) Pushkin also offers more privacy and anonymity compared to St. Petersburg’s LED Pulkovo International. St. Petersburg is the second busiest region for private and business aviation in the Russian Federation, and ACA is your best source for private jet charter service to/from St. Petersburg using any of the following Wyvern-certified aircraft. All of the private jets we arrange are operated by FAR Part 135 or 121 (or foreign equivalent) air carriers, and we only use pilots with a wealth of experience in the aircraft type you specifically charter. ACA will provide a variety of options based on the goals and budget of your flight, whether you’re looking for a cost-effective charter flight or the most luxurious private jet on the market. Check out our Aircraft Gallery for more details on all of the aircraft available for your trip. Request a Quote or give us a call at 1-888-987-5387 to speak with one of our St. Petersburg Private Jet Charter agents for your next luxury vacation, business trip, or special event.